After cruelly rendering the world's book sellers obsolete, Amazon is doing the unthinkable and opening a brick-and-mortar store of its very own. 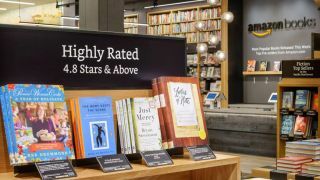 Located in the University Village in Amazon's Seattle home town, the 511 square metre-store will only offer around 5,000 books, which is considerably less than a traditional book shop. The reason for the modest range is that Amazon's store will display each book with its cover facing outwards, rather than the spine. That means it'll be easier to spot what you want, but less likely that the store will have it in the first place. Kindle e-readers and Fire tablets will also feature in the shop, although the shop will not offer customers the chance to pick up books purchased from Amazon's online emporium. It's unlikely Amazon's looking to turn a profit from the project – the online retailer has put greater book stores to the sword than this – leaving the venture beyond the digital world as little more than a gimmick and vanity project. The store will open its doors at 9:30am on 3 November.